At the end of the month, do you know which physician payments have not been processed and should be accrued? Ludi simplifies the way hospitals and health systems track, manage and audit payments to their physicians. Managing physician contracts can be tough. You have to track physician time and corresponding payments based on the complexities of each contract or arrangement. That’s where Ludi comes in. We modernize what’s typically a cumbersome, paper-based process for hospitals, and transform it into a modern physician-focused approach. Ludi’s DocTime Technology Suite is an integrated, physician time-keeping app and financial management system. It helps hospitals streamline all of the complex tasks, rules and data associated with their physician contracts. 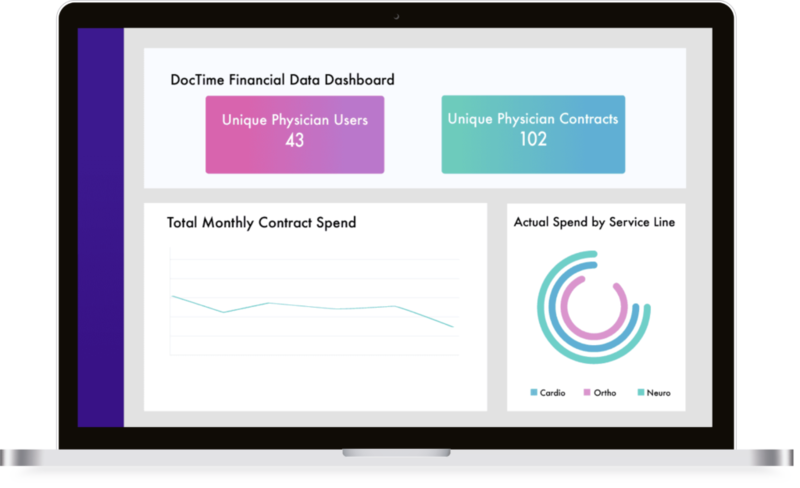 The DocTime Suite allows doctors to track their time on-the-go using a mobile device or computer, gather the necessary approvals for that work without having to chase anyone down, and ensure payment is processed – all online, securely and quickly. As a result, hospitals save time, money and stay within key compliance regulations, including Stark Law and the Anti-Kickback Statute. And physicians can focus on what they love: helping their patients. Centralized data dashboard provides insight into physician activity and total physician spend across entire enterprise. Key metrics help you understand your financial outlay and ways to trim total expenditure. Reduces manual processes, saving everyone time, improving productivity and helping protect against physician burnout. Streamlines all of your physician contracts and related data in one place, so you can easily track and understand the different rules of each contract and stay within the Stark Law, Anti-Kickback Statute, FMV and Sunshine Act regulations. The system alerts you immediately if errors are being made so you can take action if necessary. At the end of the month I used to look at the big stack of physician paper time logs overcome with nausea. DocTime Log has replaced the paper with a streamlined process and approving and processing payments is easy. Our physicians appreciate the transparency. Sometimes we have technical solutions that don’t get adopted because they don’t work for the physician. I have been pleasantly pleased we have not received one physician complaint. DocTime Log® is a wonderful tool for both contract compliance and financial tracking. The physicians have found it very intuitive to use and have improved the quality of their monthly submissions. I would highly recommend! We now have legible, concise physician time logs. It has saved me so much time, from hounding physicians to turn in their time logs and the 5-10 hours each month I spent reviewing and submitting them is now 20 minutes. 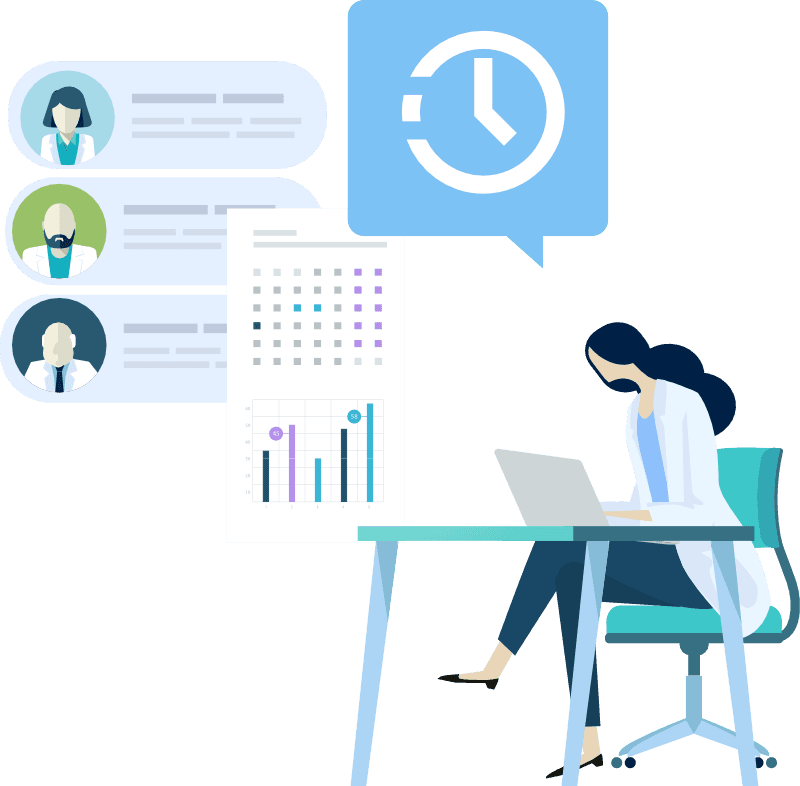 DocTime Log® saved my team weeks of work boiled down into hours, who uses DocTime Log® to pull Medicare Cost Report Data. Ludi’s DocTimeLog literally pays for itself. The quality of our physician time documentation has improved and is now consistent in format.